Laboratory of Chemical & Electrochemical Processes (LCEP) is based in Patras, Greece. The LCEP, directed by Professor C.G. Vayenas, belongs to the Department of Chemical Engineering at the University of Patras. 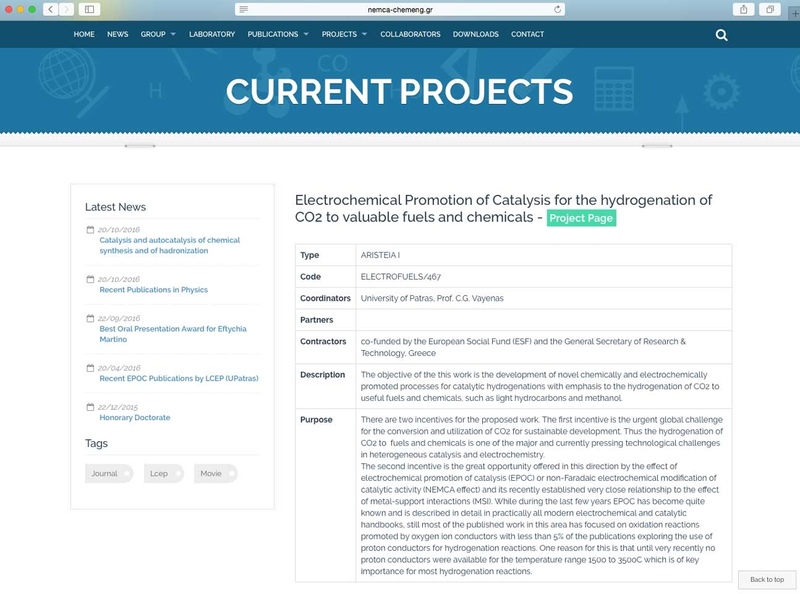 The group of Patras is credited with the discovery of the effect of Electrochemical Promotion of Catalysis (EPOC) and has pioneered in the use of solid electrolytes, as an active reservoir of ionic species available to control and enhance the catalytic properties of metal and metal oxide electrodes. 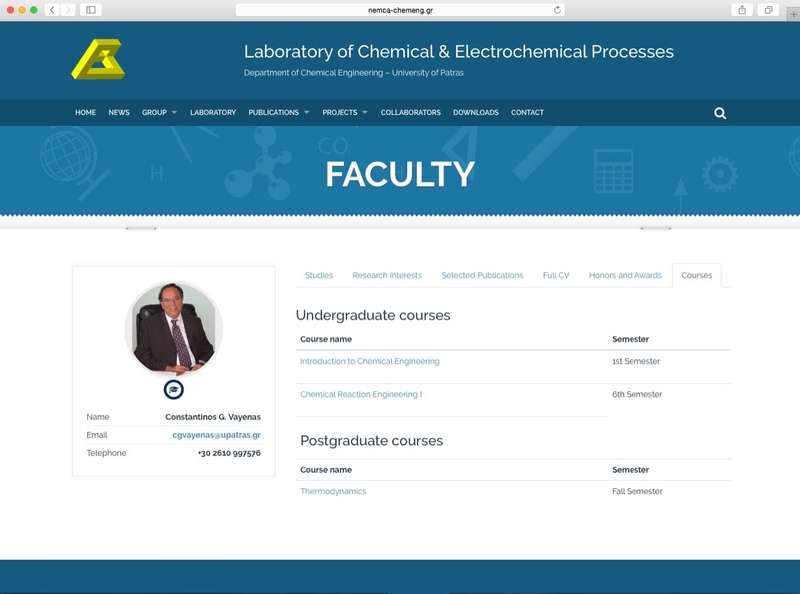 In the context of this project we had the opportunity to work on the creation of the website of Laboratory of Chemical & Electrochemical Processes (LCEP). 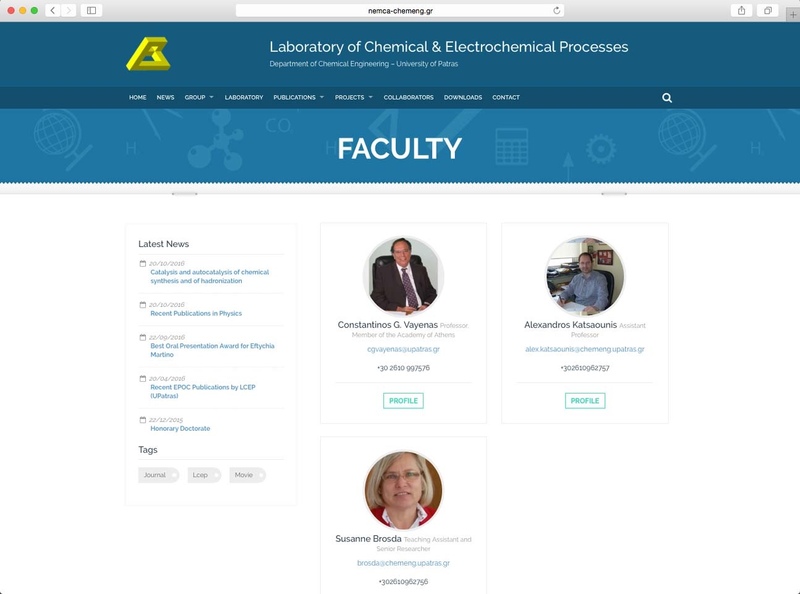 Our main concern was to create a fully functional and contemporary website to display the full range of activities and research interests of the faculty members of the laboratory. To achieve this, we paid special attention to easy navigation, search functionality as well as easy content management system. 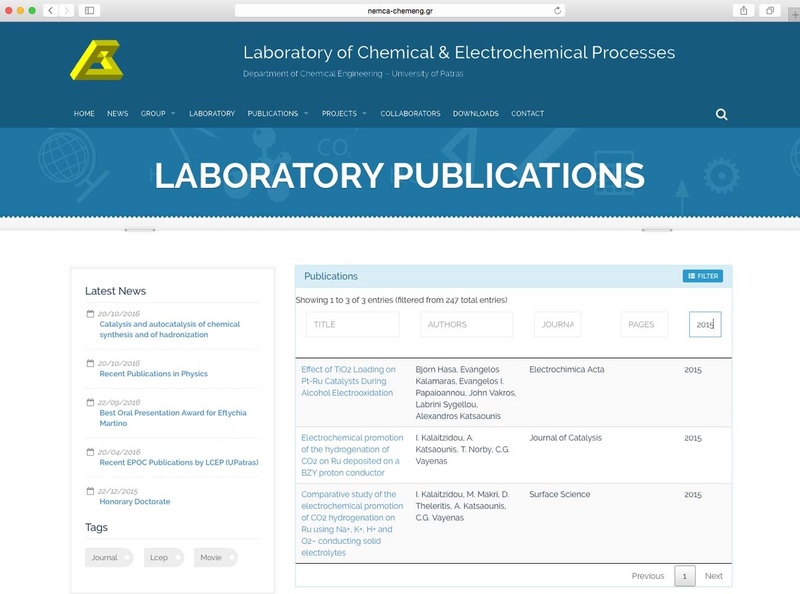 A challenging aspect of this work was to integrate Science Direct Api to enable easy synchronization of publications of the members of the laboratory.